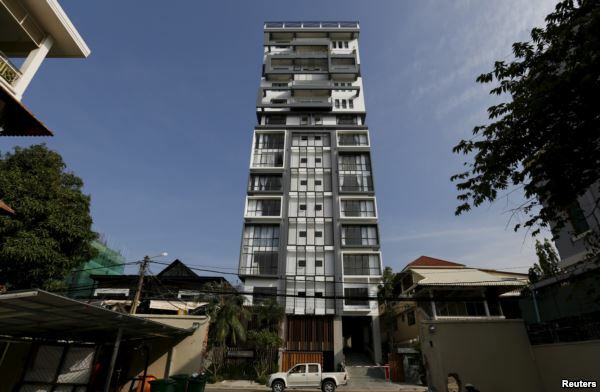 PHNOM PENH, CAMBODIA — Real-estate developers from across Asia are rushing into the Cambodian capital, Phnom Penh, seeking a share of one of the region’s last frontier property markets. In just a couple of years, the city has become practically unrecognizable from its former low-rise persona, adopting the cluttered mayhem of Thailand’s Bangkok. There is scarcely any sign of town planning or vision, just brand-new or yet-to-be-completed multistory condominiums on practically every inner-city block. “This year China — mainland China — the demand’s going up and a lot of foreigners — Europeans, even Americans — they are actually trying to buy properties here, starting this year,” said 30-year-old Canadian developer Sam Yang. His Chinese firm, Eastland Development, sees Phnom Penh as a potential business hub of the Association of Southeast Asian Nations (ASEAN) regional economic bloc. 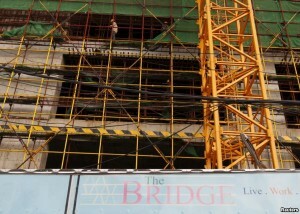 The firm is building one 23-story apartment complex and one 37-story multipurpose complex in central Phnom Penh. Legislation in 2010 that allowed foreigners to buy high-rise property paved the way for investors like Yang. 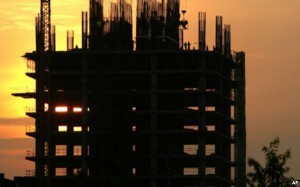 In one district of Phnom Penh alone — Koh Pich — 10,000 to 12,000 new units are expected to come on line in the next 18 months. 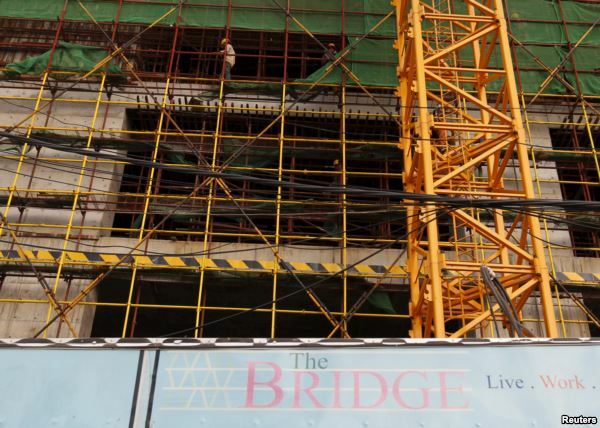 In the past 12 months, 52 condo developments open to the foreign market have been approved by the city, according to real-estate firm Independent Property Services Cambodia. It’s a dramatic rate of development in a country that still ranks near the bottom of many of the world’s development indexes. The sources of capital for this boom, both on the supply and demand sides, are diverse and, in some cases, questionable. With an economy dominated by the U.S. dollar and practically no enforcement of anti-money-laundering safeguards, Cambodia’s property market is an attractive prospect for those seeking to launder ill-gotten funds. Last year, the Phnom Penh Post reported that the country’s top anti-money laundering agencies had failed to investigate a single case since 2008 and had effectively ceased operations. The country languishes at 150th out of 168 countries on Transparency International’s 2015 Corruption Perceptions Index. Money laundering, however, may not be the only opaque reason some foreign investors are looking to Cambodia. In the first nine months of 2015, $500 billion poured in from China following the stock market crash there. McLeod said investors from the regional giant see Cambodia’s property market as an ideal way to convert their yuan to stable U.S. dollars — a trend Independent Property Service’s general manager, Grant Fitzgerald, has also observed. “The flip side of that is a lot of the developers I know are legitimate developers who have done 20 projects in China and they’re now looking to expand,” he said. 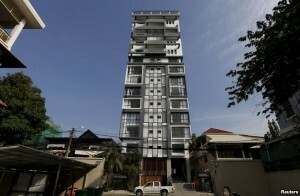 Cambodians tend to live with their extended families, making condos a particularly ill-suited, individualistic form of accommodation for the local market. On top of this, Cambodian banks are notoriously reticent to grant property loans, often requiring at least 100 percent of the value of the property in collateral. Despite this, most real-estate agents put occupancy rates in the condominiums at a healthy 60 to 70 percent. The major reason for this, they say, is generous housing allowances afforded by NGOs and, increasingly, corporations. “Its rental fee per person monthly is roughly $1,200 to $1,500 — really stable for the last five to eight years,” Fitzgerald said. “I think that the main reason is that a lot of foreign investors come here, they rent the place by company compensation, or benefit, so that’s why it’s quite stable. “I don’t know any Cambodians that live in condos. I know a lot that have invested in them, but I don’t know any that occupy them,” Fitzgerald added, laughing when asked how it was that Cambodians could buy property without easy access to credit. “Well, there’s a lot of wealthy people here with money that they’ve gotten through various devices, whether it be legal or illegal, and they just want to buy property to put it somewhere safe,” he said. 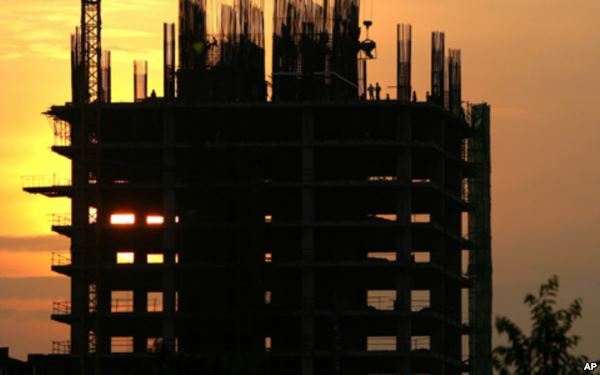 With the political climate in Bangkok souring, housing prices still hefty in Myanmar and all of Cambodia’s neighbors far more susceptible to currency fluctuations, developers such as Yang are keen to promote Phnom Penh as a future regional hub of the ASEAN economic community. “Given the political instability, the worry of the [Thai] currency, a lot of the medium to lower funds, foreign investment funds, they’re actually moving their headquarters from Bangkok to Phnom Penh,” he said. The proposed Pan-Asia Railway Network, which would in theory run a high-speed rail network through Phnom Penh to Vietnam’s Ho Chin Minh City, is another development that makes Yang optimistic. Whether or not demand continues to expand as Yang envisions, McLeod said fears of a market crash on the back of plummeting occupancy is, to some extent, misguided.